Fridge compartments are a bit of a maze. Who knows what you call the compartment on the door that holds the eggs or the box of plastic at the bottom for the vegetables? So when the little nooks and crannies break - it really is easier to DIY. 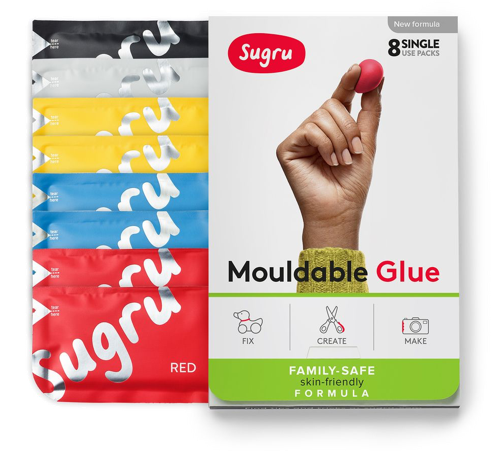 With Sugru it&apos;s really easy (and quick) to fix these little snags instead of buying replacement parts, so you can make your fridge last longer which is great for your pocket and great for the environment. Prep time! Make sure the surface is clean and dry - wipe it with that handy roll of tissue paper. Leave it to cure at room temperature for 24 hours. *Please note: It is possible to let the Sugru fixes cure inside the fridge, but you need to leave it alone for 48-60 hours, depending on thickness.